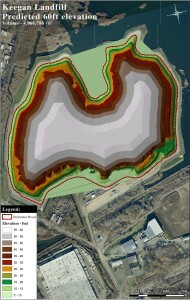 Landfills settle and their size and volume change as materials decompose with time. To determine landfill capacity over time continuous monitoring of landfill size and volume is required. Periodically conduct landfill surveys using high resolution LiDAR images and field GPS measurements to determine volume accumulation and settling rates. 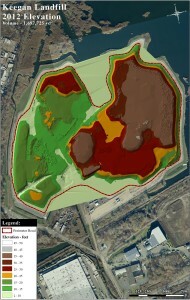 Compare previous measured volumes and calculate the current capacity of landfills. 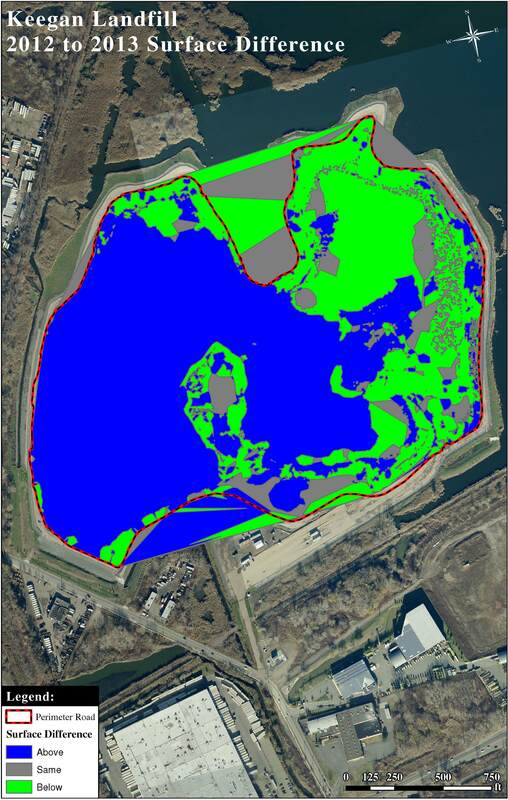 Convert elevation and location measurements from LiDAR images and field GPS collected data into GIS readable data and tables. Compute the differences in landfill volume and the final landfill volume via a TIN (Triangulated Irregular Network) using 3D Analyst, an ArcMap extension. 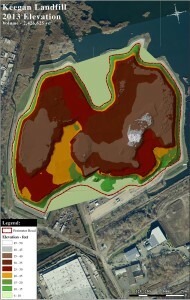 Determine remaining volume capacity of the landfill.